Is Age An Important Factor When Learning To Drive A Manual Transmission Automobile? The car had a manual transmission. 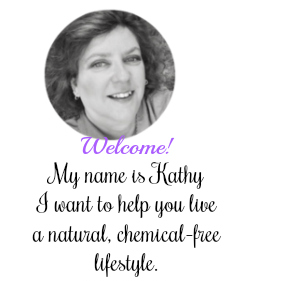 Have you noticed the red TalktoChef button on the left side of my website. TalkToChef is an online platform that allows home cooks, such as yourself, the ability to connect with a professional chef when you want culinary assistance or have a cooking question that needs answered. Road trips are fun when things go as planned. But let a water pump freeze up half way to the destination, not much fun. Even though we had no power steering, my husband was able to drive us safely to a parking lot. Here, we had to find a tow truck and garage to fix the car. Plus, this all took place in the middle of a rain storm. 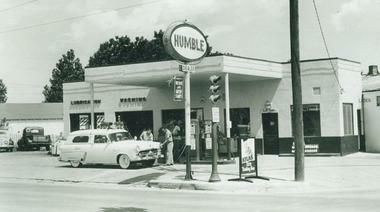 Do you remember the days when gas stations had garages attached to them? Get gas and get your oil changed. Those types of service centers are few and far between. This post is part of a Making Good Blog Train hosted by Agatha, from Green Issues by Agy. What is repair, and why do we even bother to repair the things we have? Some see repair as a way of reconnecting with our possessions as we extend their lives. Others see it as a form of creative potential and an avenue to express their craft. The rewards for mending varies from feeling immense satisfaction to prolonging the life of the product. Follow the Making Good Blog Train this month and see what we have repaired and reconnected with. I accepted the Mix n Match Style Challenge presented by Mid Century Modern. This challenge requires you to assemble a styleboard via Polyvore with items from Chairish, an exclusive, curator approved, online marketplace for vintage and used furniture. Please stop by and check out their website. I created this styleboard based on a vintage clock that caught my eye. The straight lines of the wooden blocks versus the circular form of the “sunburst,” offered me the opportunity to choose different styles of furniture and decor that reflected the eclectic look for the Mix n Match Challenge. Ever since the night I lost my blog, I have been afraid to rearrange and move the layout of my blog. I was not interested in working with the HTML code again or moving widgets around. 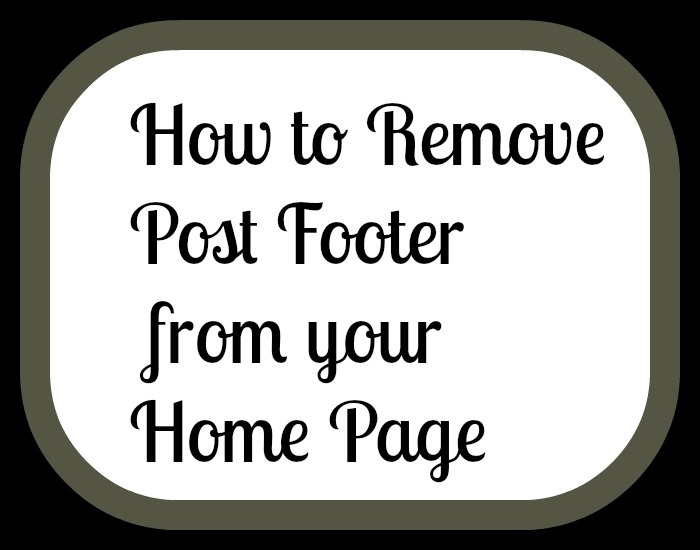 Once you have lost your blog to the great unknown in your computer, you become a tad nervous to try and change the layout of your blog again. "Where we love is home...home that our feet may leave, but not our hearts." Finding the right background for photographs can be overwhelming. While finding the exact lighting is important, what your object is set in front of is important also. When I first started to write my blog posts, I did not grasp the tiny subtleties of photography. The lighting was poor, but more importantly, my backgrounds did not reflect the desired end result that I had intended. 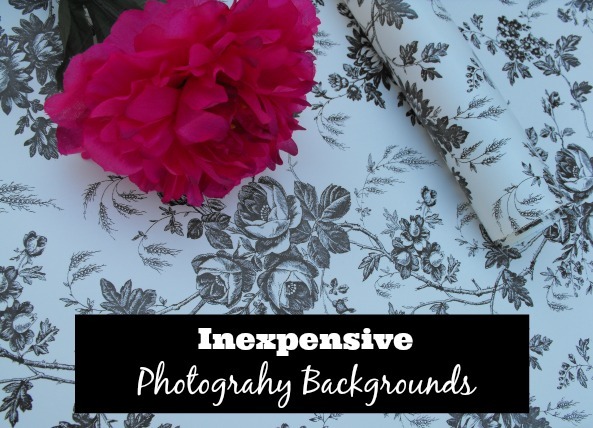 Listed below are 5 ideas for inexpensive photography backgrounds. Today, I am featuring a guest post written by Jane Blanchard. 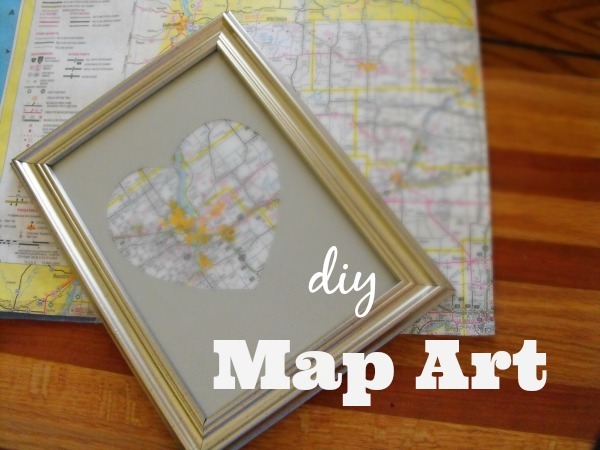 She writes for Modernize, a new website which features home ideas and inspiration. Modernize is a place to gather new information and see how other homeowners have transformed their houses. 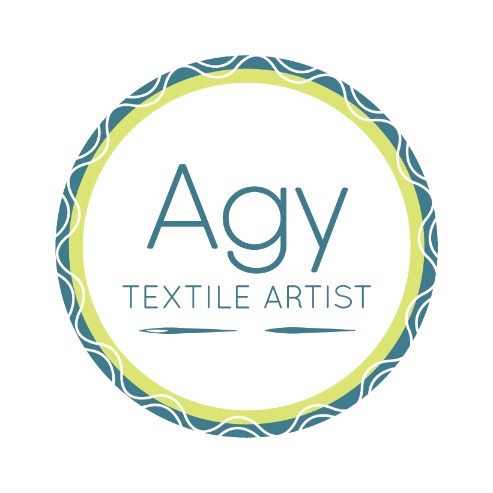 Please stop by and visit this new website for inspiring ideas to create the home of your dreams. When it comes to cooking, a lot of us find out the hard way that less is more. Structure is important. And proper seasoning is a must. The same can be said of how the kitchen itself is organized. While taking the time to properly organize your kitchen may seem like a chore much more ominous than figuring out (let alone mastering) Julia Child’s recipe for beef bourguignon, thinking of it as an investment in your cooking future may help soften the blow. Food Network icon Alton Brown knows his business, and has for years voiced his very strong opinion against using anything single-purpose, such as a garlic press or melon baller, in the kitchen. Instead, find secondary uses for common household items, like attaching a magazine rack inside a cabinet for storing those boxes of baggies and aluminum foil that don’t seem to fit anywhere else. 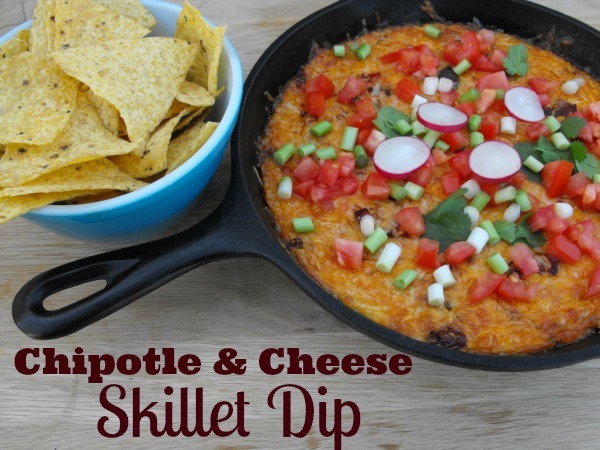 The cilantro, onion, and radish combined with the chipotle give this dip just a bit of spice to the cheese. Not too hot, but enough to give this cheese some zest. The radishes gave this cheese dip a nice crunch. 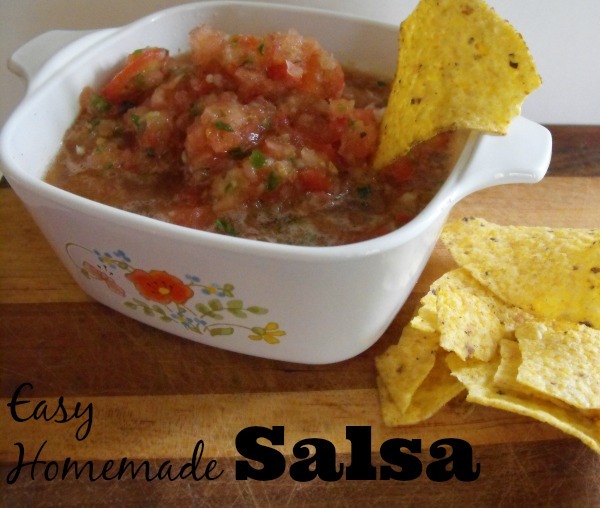 All of the flavors combined makes this a wonderful party appetizer. I have been reading as many books as I can to understand and learn marketing and growing your blog. Marketing is a subject that I have no knowledge about and did not study in school. However, when you write and promote a blog, you need to understand some techniques of marketing yourself. So I need all the help I can get. I have been visiting the library for any and all books about marketing and blogging. Each week I check out new books in a variety of blogging topics. Many of the books are a bit tedious. Maybe I do not understand marketing. So then to me they are, all right I will just say it, boring. 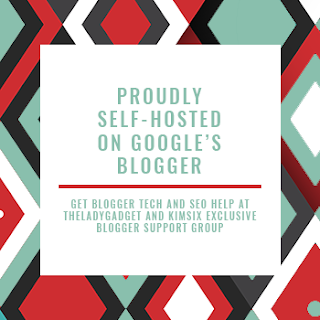 However, I did enjoy a book titled, Bloggers Boot Camp, Learning How To Build, Write, And Run A Successful Blog, written by Charlie White and John Biggs. In fact, I read half the book in one evening. I would have finished the book later in the evening but, there was an issue with a cat. I digress. "When your child walks into a room, does your face light up?" asks Nobel Prize winner Toni Morrison. I discovered this question tonight and it gave me pause for thought. Does my face light up? Or am I always more concerned about the book I am reading, or the problems with the cats, or is the computer more important at that exact moment when my son walks into a room? Sadly more often than not, I seem to be too preoccupied. "When my children used to walk in the room, when they were little, I looked at them to see if they had buckled their trousers or if their hair was combed or if their socks were up," Toni Morrison told Oprah in 2000. "You think your affection and your deep love is on display because you're caring for them. It's not. When they see you, they see the critical face. But if you let your face speak what's in your heart...because when they walked in the room, I was glad to see them. It's just as small as that, you see." When your children are young, you have this unseen pressure to be the perfect parent. To have the perfect children who act appropriately. Or else you will get "that look." The look of, oh you really messed this up. Goodness, I hate that look. There is so much pressure for perfection that you forget what Toni Morrison asks. Because, heaven forbid your child stepped outside with uncombed hair. How could your face possibly light up when you have the weight of the world on your shoulders. I ponder this question because on the day that this is posted it will be my son's 22 birthday. I think to myself, wouldn't it have been nice to find this question earlier in my life? 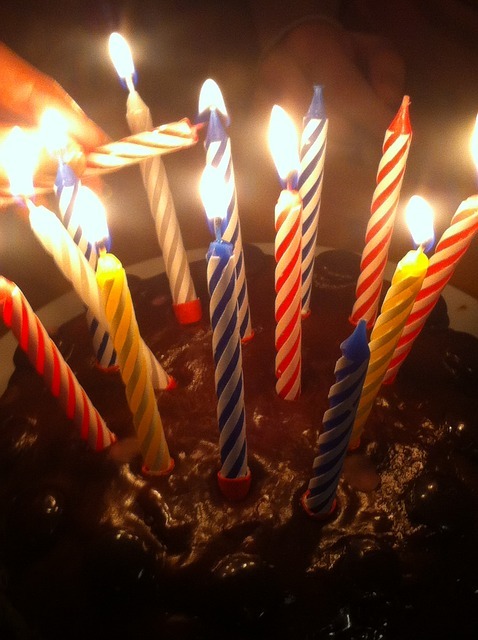 Say 22 years ago. Because back then I was worried about what to make for dinner, was the laundry done, did we brush our teeth, hurry up and get dishes done before nap, what would happen if today we did not get a nap, will we have enough time to play outside, did I forget to pack something in the diaper bag? Goodness, as I write this I am stressing out. And so there goes my light. So am I too late? 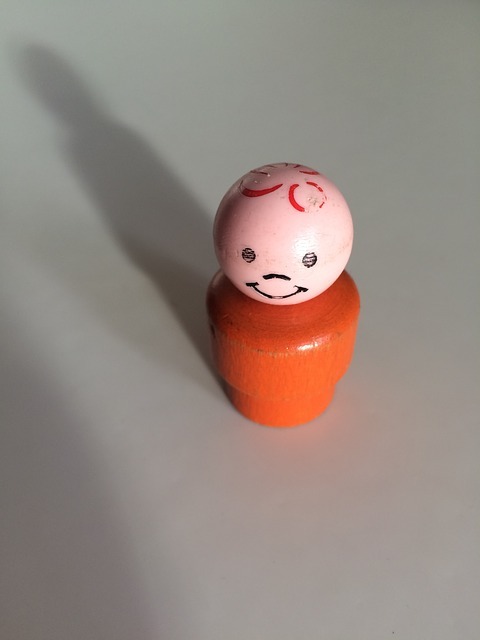 Because my son is older, have I totally messed every thing up? Or is a person ever too old to learn something new. I hope not. As C. S. Lewis states, "You are never too old to set another goal or dream a new dream." Because finding this question has given me food for thought. Do I really want to be so preoccupied that I forget to show on my face the light that needs to be there. The light that says I am happy you are here. No, I am not too old to learn something new. How exciting it is to realize that I can change an old habit and correct something that needs to be corrected. Put down the book, put the computer on stand by. These things can wait. And that light that is so important will shine through. Undivided attention. Acknowledging that another person is important. That you are happy to see them. Shouldn't this light extend to others as well? When are you too old to learn something new. Never, I say. There are endless books to read. The world wide web at your finger tips. Or a quote that you read on a roadside billboard. Find inspiration in everyday life and never be too busy to let that light shine through so that others see how important they are to you. Ever since I can remember, cooking oil was always used to make popcorn. Or, avoid the time it takes to cook popcorn on the stove and buy microwavable popcorn. 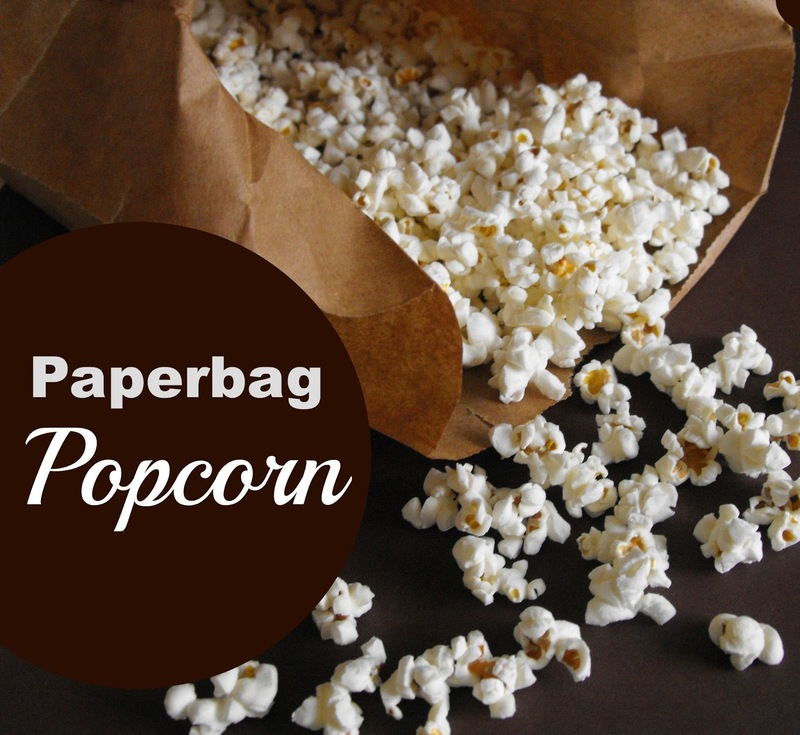 However, I discovered that you can make popcorn with just a brown paper lunch bag and 1/2 a cup of popcorn kernels placed in a microwave oven. Start with a paper lunch bag. Add 1/2 cup of popcorn kernels. Fold the opening of the bag over, twice. Cook on high for up to 3 minutes. I tried microwaving the popcorn for 3 minutes and it burned. Adjust the time to compensate for your microwave. Also, I used small popcorn kernels bought from my local farm store. So, this might have contributed to the popcorn burning the first time I tried this method. The next batch I made, I only microwaved for 2 minutes and the bag of popcorn was a success. What topping do you put on your popcorn? 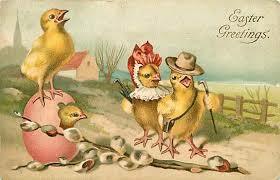 The rules for this challenge is to visit your local thrift store and only spend $5.00 on Spring items. I had such a good time participating in the Goodwill Christmas Challenge that I decided to venture to my local Goodwill and see what I could find for this $5.00 Spring Challenge. These pretty flowers just say Spring is here. These two items just shouted Spring to me. 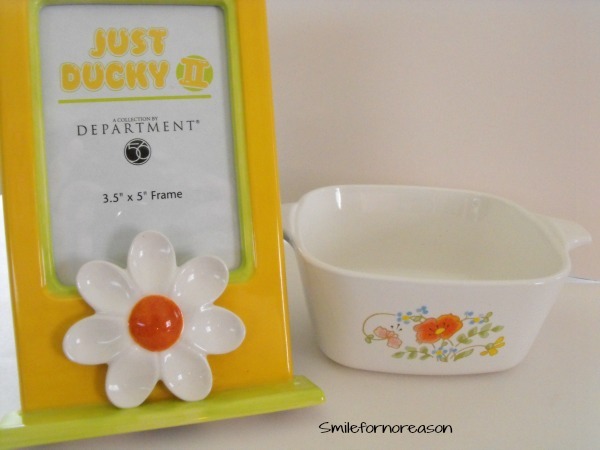 I first discovered the cute picture frame with the prettiest daisy on the front. The price for the frame was $2.99. The bright yellow and pale green colors of the frame brighten up the shelf where I displayed my new frame and photograph. I have open shelves in my kitchen. When I spotted this Corning Ware bowl, priced at $1.99, I knew that this would replace the blue bowl that had been on the kitchen shelf most of the winter. The total cost for both items, before taxes, was $4.98. I have so much fun with these challenges. They make me step out of my comfort zone and look at items differently. I never would have looked twice at either of these items because I have plenty of picture frames and bowls that I do not need to purchase more of them. But the Spring look to each of these items allowed me an inexpensive way to add a new touch of Spring to my decor. 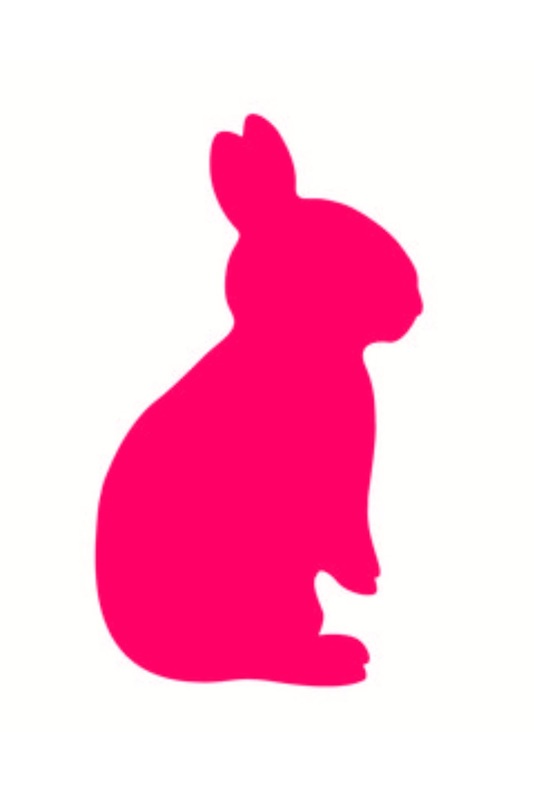 Have you found any Spring finds at your Thrift Stores? I prefer to make my own body scrubs. 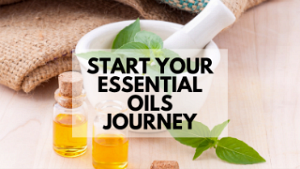 This way I know exactly what ingredients are in each of the make it yourself body scrubs. 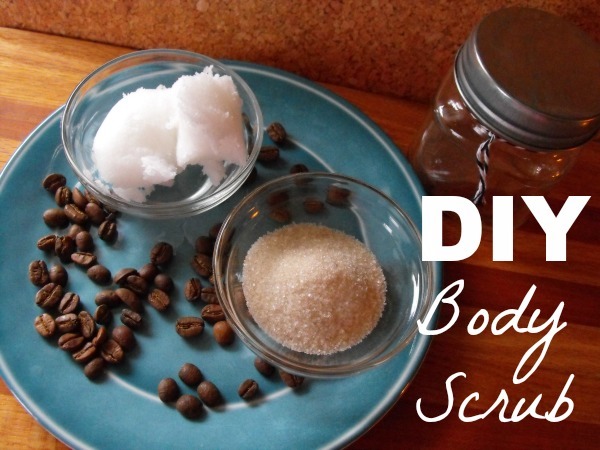 The recipe for this body scrub uses coconut oil, sugar, and coffee grounds. Just 3 ingredients to healthy, soft skin. Coffee not only great for starting your mornings, coffee has benefits for beauty as well. Coffee is loaded with antioxidants which alleviate the look of premature aging. In addition, studies have shown the intake of coffee and decreased risk of skin cancer. Mix ingredients together in a bowl and then transfer to your desired container. 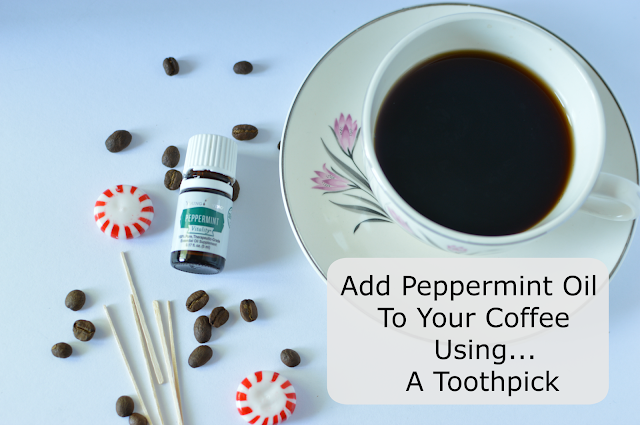 Have you tried coffee in your skin care? 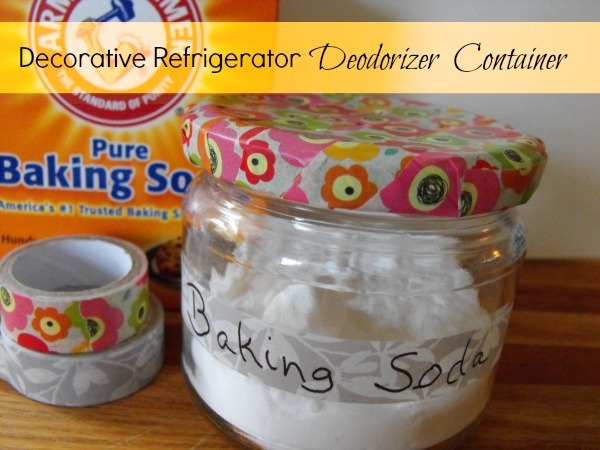 Usually I just place an open box of baking soda in my refrigerator to eliminate odors. But, this decorative container uses less baking soda. Thus saving you money. Also, with the screw on lid, there are no more messy spills. To begin select an empty jar. I have been saving jars since I posted, Make Your Own Decorative Jars and Lids. 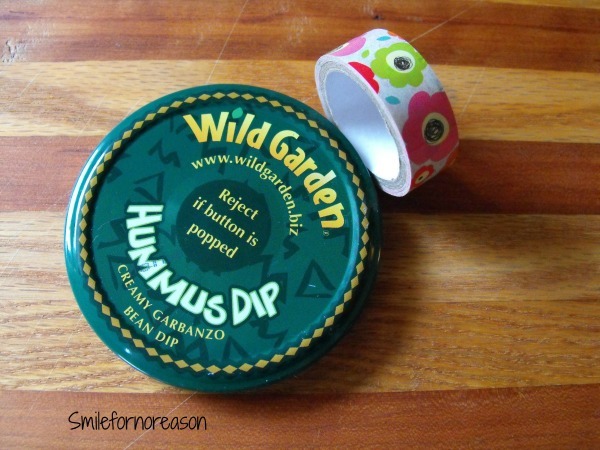 Now, decorate your lid with Washi tape. I chose a pretty spring Washi tape design. 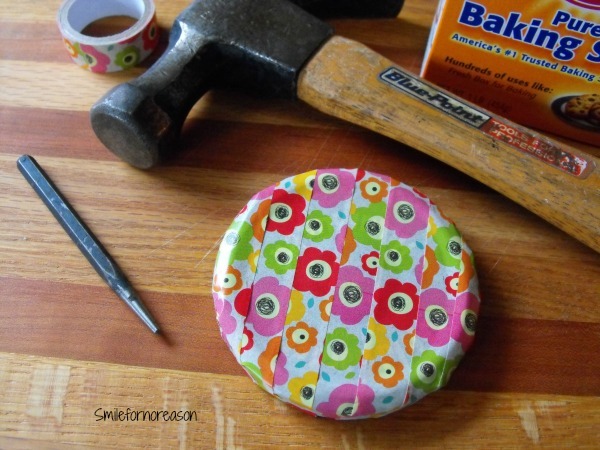 When you are satisfied with your Washi taped lid, punch holes in the lid. I used a hammer and a hole punch. You most certainly can use a nail or a screw to punch holes. Fill the jar with the baking soda. Optional- You can place a sticker on the jar with a description of what the jar contains. 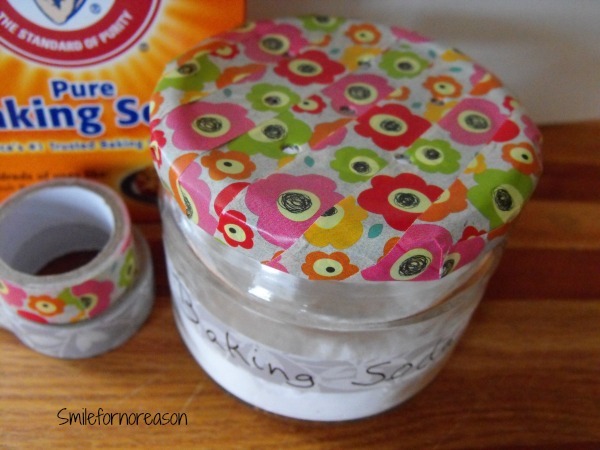 I placed a strip of Washi tape on the jar and with a black Sharpie, marked the jar - Baking Soda. Also include the date, when you change and add new, fresh baking soda. Place the lid on the jar and put the finished decorative refrigerator deodorizer container in the fridge. Change monthly. For additional uses with baking soda, please visit Vacuum Guide and check out their 58 cleaning ideas with baking soda. Number three was a surprise to me. What other ideas do you have to share to deodorize your fridge? White chocolate goodness. Great for watching the snow melt. A few of us are still waking up to ice and snow. 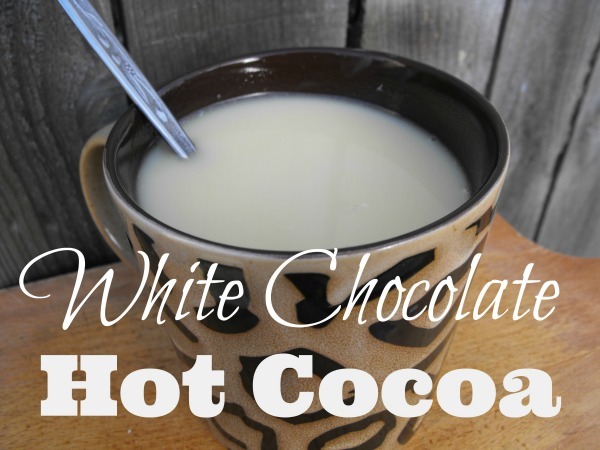 This gluten free, vegan white chocolate is a change of pace from instant hot chocolate. Just five ingredients and you have yourself a warm treat. One of the ingredients is white chocolate. Need I say more? Healthy Ingredients. Yes, almonds are healthy. Bring the almond milk to a boil, then pour over the white chocolate chunks in a heat safe bowl. 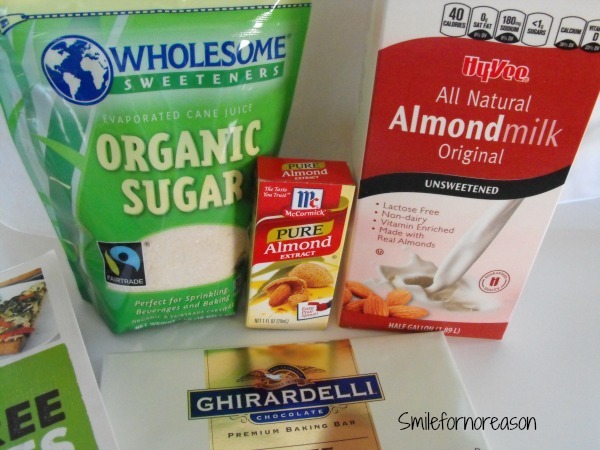 Add the sugar, almond extract, and salt and stir until all is dissolved. Serve immediately. This is another wonderful recipe from the Great Gluten-Free Vegan Eats cookbook. What new recipes are you adding, knowing that spring is right around the corner? 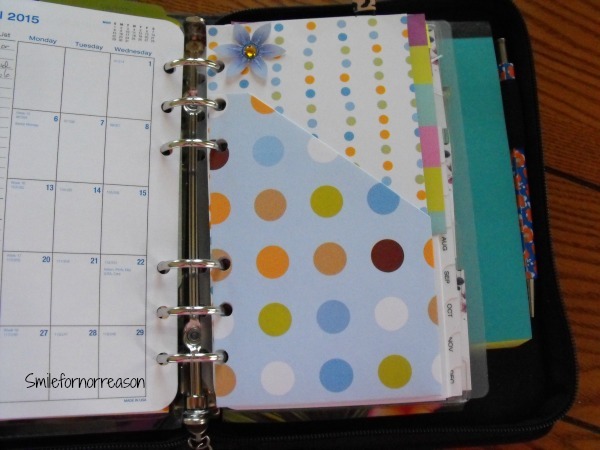 These easy, homemade pocket folders fit nicely in your six ring planners. 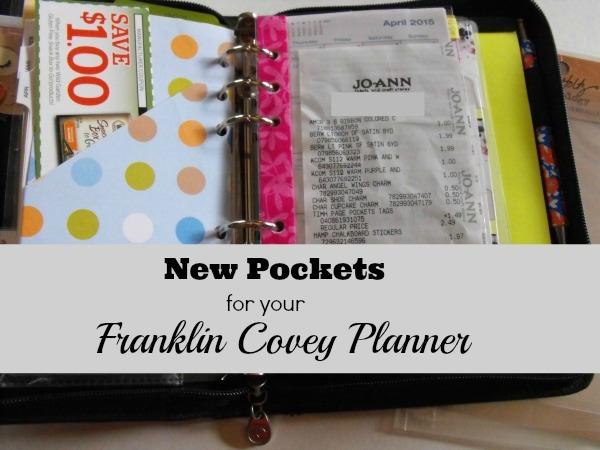 The folders can hold your to do lists, important receipts, or stickers to decorate your planner. 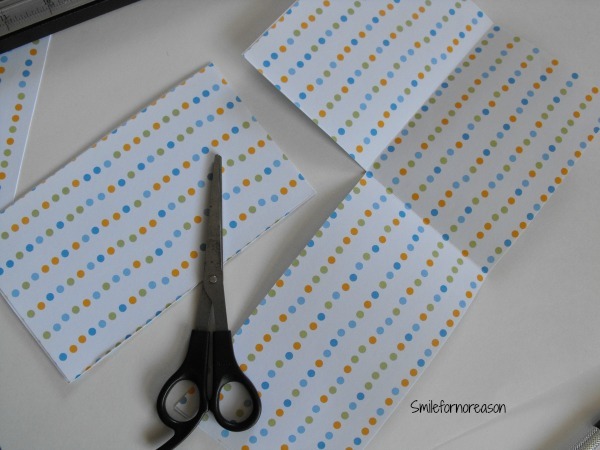 You will need scissors, glue stick, or tape, hole punch and your paper trimmer. 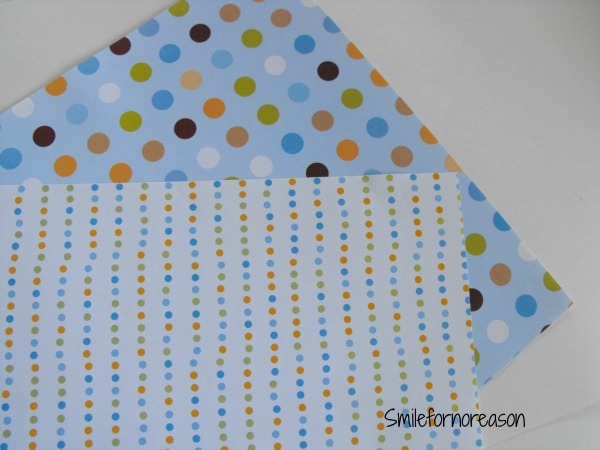 First, select your 12x12 double sided scrapbook paper. When I stopped by my local Joann's Fabric store, I searched through the shelves for double sided scrapbook paper. I had my heart set on any paper with a floral design. However, the only double sided paper they had to choose from was plain solid, one color paper. This was not what I wanted, so I decided to glue the back of two 12x12 scrapbook pieces together. Hopefully, this idea would work. 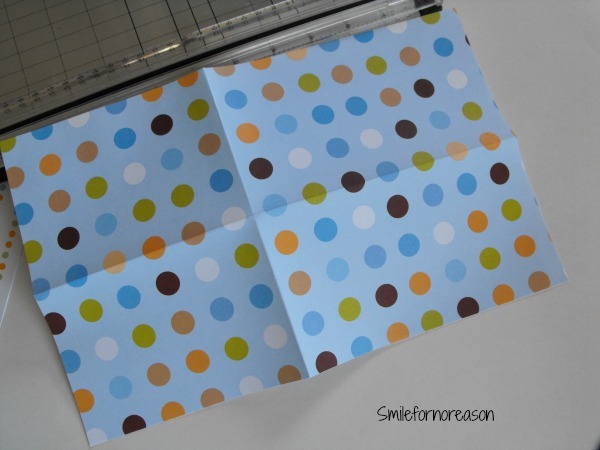 I glued together, just the outer sides, of this polka dot scrapbook paper. Once your paper is cut to 71/2 inches, score two lines. Score the wide or horizontal side at 3.75 inches. 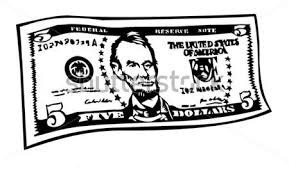 Then, score the long or vertical side of the paper at 6.75 inches. Your finished scored paper should look like this. 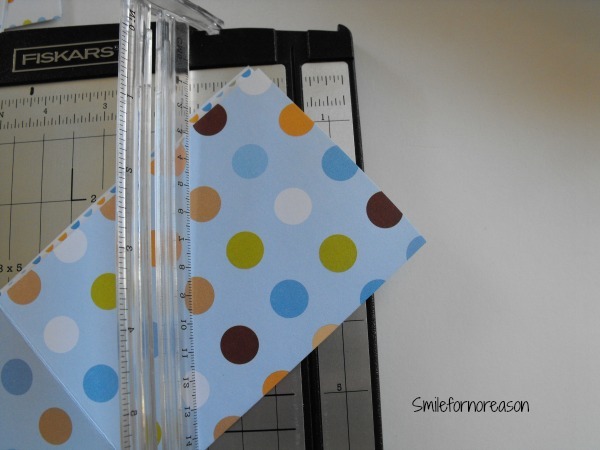 Now, fold on the score and use the back of the score tool to make a crease. Actually the back of a butter knife, or similar object, would work just as well. Your creased folder should look like this. You should have two longer rectangles and two squares. Cut off one of the long rectangles. It does not matter which side you cut off. Now how you fold your paper depends on what coordinating colors you want to show. 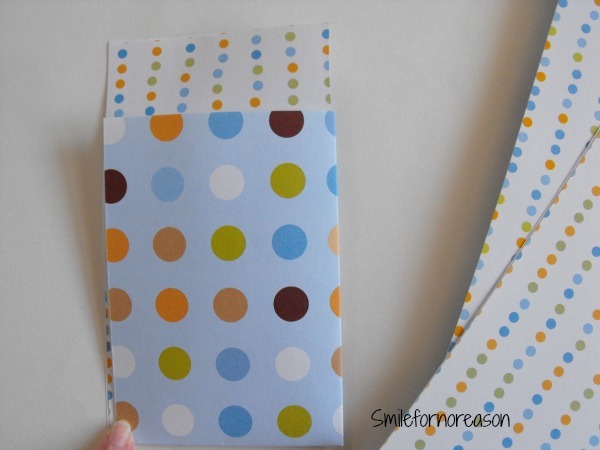 I wanted the large polka dots showing on the outside of the folder. To cut the diagonal in the folder, mark where you want the diagonal cut to run on your folder. There is no right or wrong way for this. 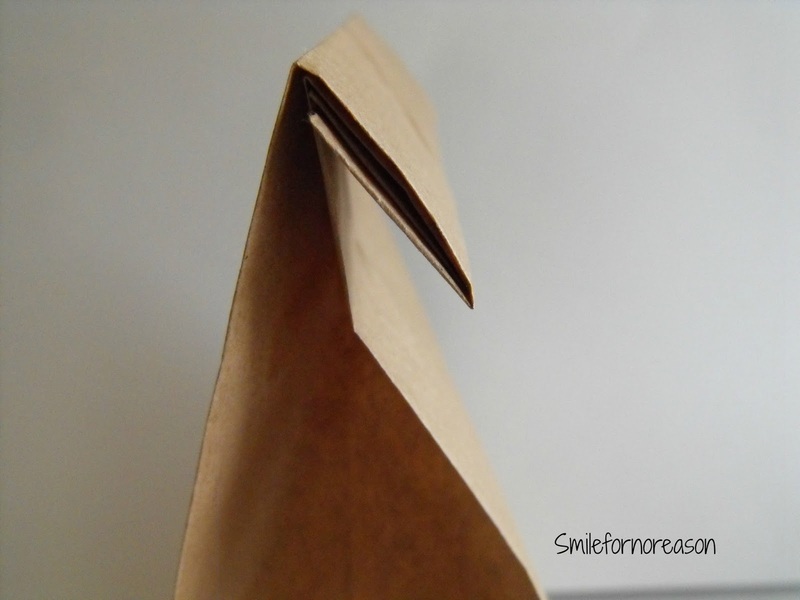 If you want a wider diagonal cut, then cut closer to the top corner of the folder. 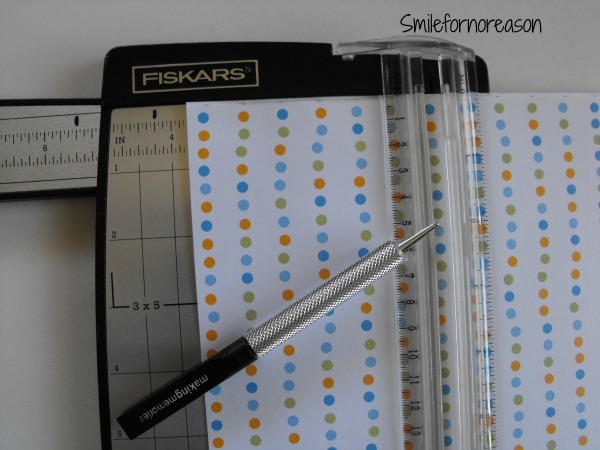 Now, refold your planner folder and tape around the bottom and the back side of the folder. 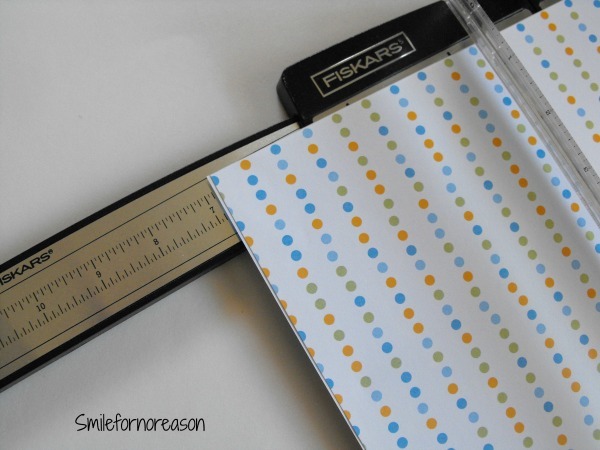 Use clear tape or coordinating Washi tape. I used a glue stick and glued the sides together. The last step is to punch holes in the folder. 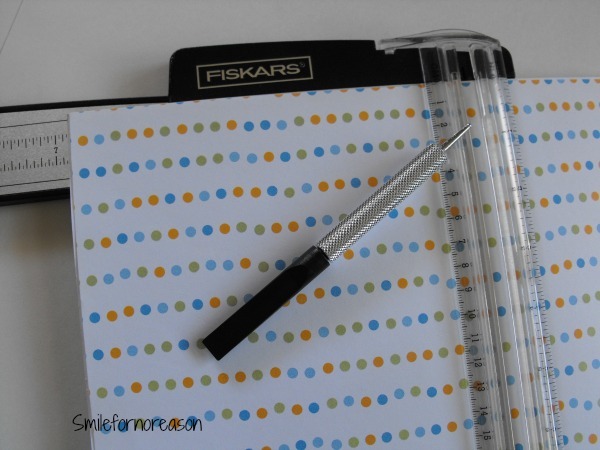 Use a sheet of six ring paper as a guide or use a presized paper punch to punch the holes in your folder. Because I glued the two sides together, not all of the paper lined up perfectly. I had to cut off some of the edges. When I smoothed the folder together, a crease formed on the top of the folder that I did not want to show. So, I covered the crease with a decorative sticker. Even though I had struggles with getting the folder to lay flat, I do like the final look of the folder. 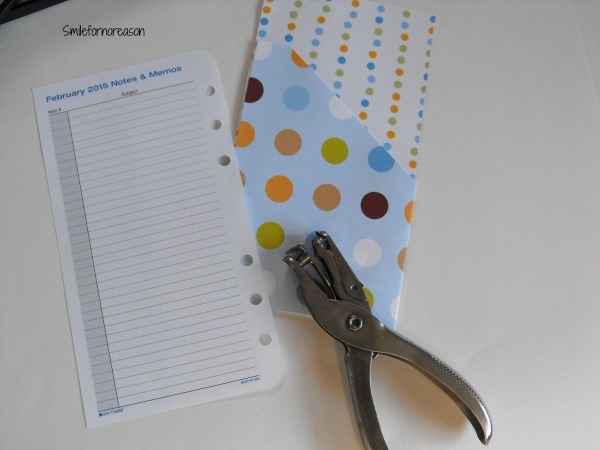 I will keep searching for double sided paper, but now I know that gluing two single sided scrapbook paper together will give you a nice planner folder. 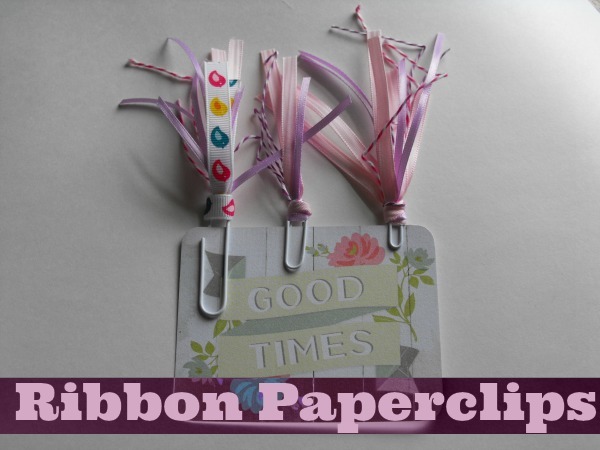 For a You Tube video on how to make these folders with double sided scrapbook paper, please click paper. 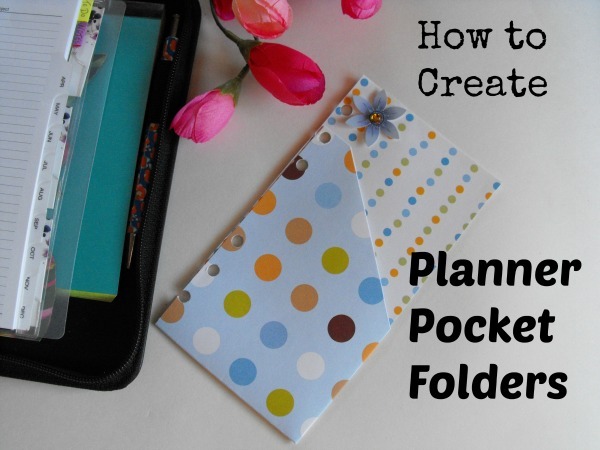 Have you created pocket folders for your planner?